Meredith Oliver is a very average middle school girl. She and her two best friends keep to to themselves and try not to be embarrassingly singled out in the cafeteria by the popular crowd. Especially Lisa Bellow. Although when they were much younger they had their friendship moments, Lisa is now at the tippy top of the totem pole. Pretty and already experienced with the older boys, she has a way of making everyone outside her inner circle uncomfortable. One day Meredith is waiting behind Lisa at the deli on her way home from school. What feels like a typical boring day turns upside down when the door opens and in walks a masked man. After lying on the floor terrified, the man asks Lisa to get up. And then she is gone. 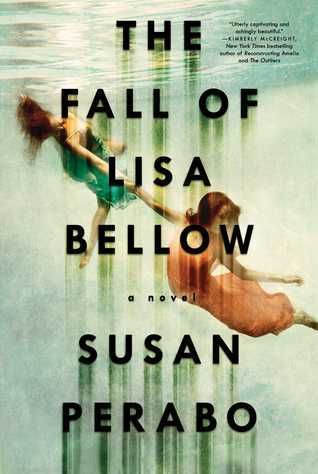 And so begins Meredith’s second life, the one after the fall of Lisa Bellow. Suddenly Meredith is getting an incredible amount of attention, wanted or not, this is her new reality. How Meredith deals with the aftermath only adds to the dynamics of her own presently tumultuous family. I thought this was an interesting take on a unfathomable situation. The writer’s interpretation of these young girls was so accurate, it was spooky. More a thinking story than action - so not necessarily suspenseful. Highly recommend this unique, well written and thought provoking novel. Looking forward to more from author Susan Perabo. I agree completely about the depiction of the girls. Meredith's observations on popularity and growing up were spot on.